I feel that I might be close to being one of the last females in the western world to read A Tree Grows in Brooklyn by Betty Smith. The blurb on the front of the book says: Poignant, moving, triumphant – in the bestselling tradition of Angela’s Ashes. 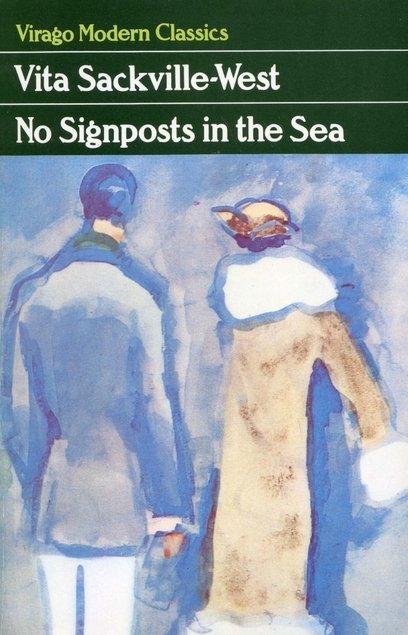 I find that really bizarre as this book was first published in 1943 and Angela’s Ashes was published in 1996 and is so much more depressing and frankly distressing than A Tree Grows in Brooklyn. The setting is the Williamsburg slums of Brooklyn where the Nolan family is living a hand to mouth existence, being held back by the alcoholic father who is ruled by his need for alcohol but otherwise is a decent father and husband, greatly loved by his family despite his weakness. 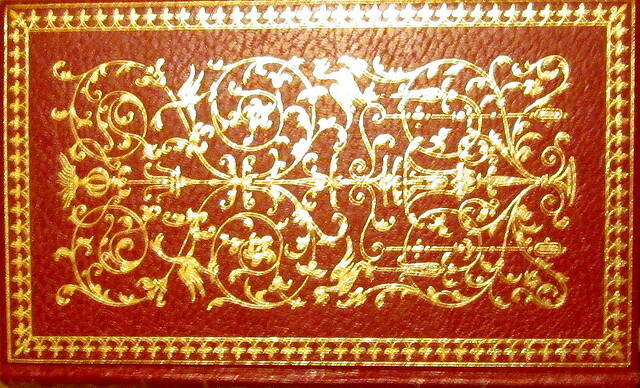 The book begins in 1912. Katie and Johnny are a young married couple. Katie married Johnny mainly because he had been her friend’s boyfriend and she liked knowing that her friend had still wanted him, she liked winning him but it wasn’t long before Katie realised that she had taken on a big problem and she realised that she would have to find work with a home as part of the deal as paying rent was going to be a problem. She can’t rely on her husband to come home from work with his wages. To add to their problems in no time Katie and Johnny find themselves the parents of a daughter and son. Francie is the young daughter who along with her brother Neeley and their mother manage to cope with the poverty and often go hungry when Papa loses his job due to his drinking. He’s a singing waiter (who knew?). Papa has charm though and he’s a popular character, I think Francie inherited his charm. She’s a bookish little girl and her favourite place is the library, despite the fact that she doesn’t get much in the way of encouragement from the librarian. She can hardly wait to get home with her books where she sits out on the fire escape to read them, hidden from the neighbours by her tree. I loved Francie and how she matures in this book but there are other great characters in it too, people that I was happy to spend a lot of time with as this book has 487 pages. To me there’s a vast difference between this one and Angela’s Ashes as in that one the mother is just as bad as the father is and she just spends her time drinking and smoking while her children die of starvation or suffer from terrible health problems that could be easily dealt with by a doctor. However Katie is the opposite, she’s hardworking and resourceful, but she isn’t able to hide that she loves Neeley much more than she loves Francie and Francie has to take second best all the time. This is how it was back then, in fact it was how it was when I was growing up in the 1960s/70s. Boys in families were treated like kings and the daughters were the maidservants. I hope it’s different nowadays! I read this one for The Classics Club and I think I’ll probably give it five stars on Goodreads. 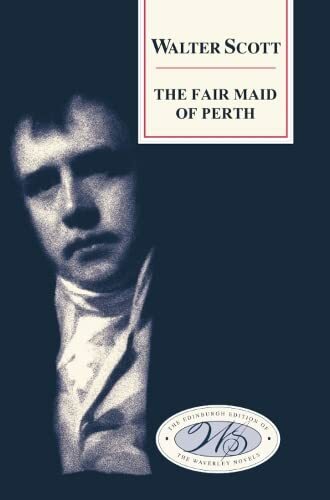 The Fair Maid of Perth or Saint Valentine’s Day as it was originally titled by Sir Walter Scott was first published in 1828 and I believe it was originally in three volumes, but they’re all incorporated in one book in The Edinburgh Edition of the Waverley Novels. I must say that these editions are really excellent as they have so many interesting explanatory notes, a glossary, an emendation list and all sorts. Scott seems to have felt that people might be losing their appetite for chivalric swashbuckling tales, but he was persuaded to carry on although there is an unusual ending – in my opinion. I must admit that the first volume of this book I ploughed through with not much enjoyment, I wasn’t too concerned by that as it usually takes me a while to get into the rhythm of Scott’s very wordy writing style. The further I got into the book – the more I enjoyed it. The setting is mainly Perth and Falkland so just a stone’s throw from where I live, great for me as I could ‘see’ it all clearly in my mind. It’s 1496 and Catherine is such a beauty she’s nicknamed The Fair Maid of Perth. During a drunken escapade King Robert III’s eldest son Rothsay and his entourage try to abduct Catherine. She’s the daughter of a well-off glover and he is keen for his daughter to marry Henry Smith who is a very successful armourer. He’s also well known for being good at fighting and it’s that that puts Catherine off him. She isn’t into alpha males at all, doesn’t like violence and she already has feelings for a young man who had been her father’s apprentice in the past. In this book Scott shows that he wants to move on from the days when clan warfare could result in some clans being more or less wiped out completely and looks forward to a more civilised society in the future – I think. I read The Fair Maid of Perth for The Classics Club. 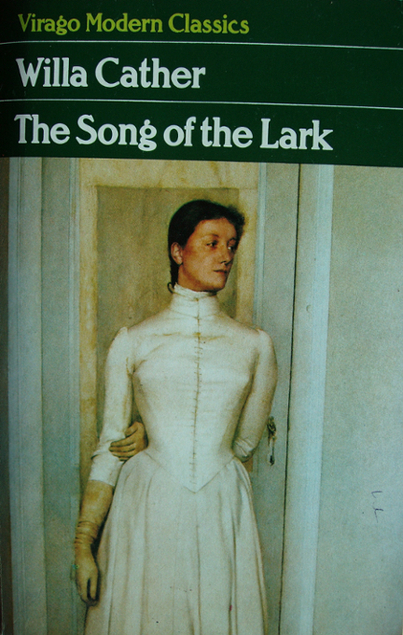 The Song of the Lark by Willa Cather was first published in 1937 and it’s a chunky read at 581 pages. I’ve read quite a lot of books by Cather, I think this is the seventh and it’s the one that I’ve least enjoyed. It begins well with the setting of Moonstone, a small town in the American West where Thea Kronberg is one of a family of seven children, their father is a local Methodist minister and there’s some rivalry between them and the local Baptists. The blurb on the back says that it’s a Cinderella story – but who is the Cinderella character – certainly not Thea. From the beginning it’s obvious that Thea has been singled out as the special daughter of the family. She’s pretty and blonde, everybody’s favourite. The local piano teacher thinks she has talent and she has to spend lots of time practising the piano, but eventually it’s her voice that she concentrates on and when she’s old enough she moves to Chicago to take lessons there. Along the way Thea makes friends with various men. She’s one of those females who gets on much better with men than with other women. Everything leads to Thea’s eventual fame and fortune of course, but it’s at a cost to everyone else. She is completely focused on her career. She only went back to Moonstone once after leaving home, and didn’t even go there when she knew that her parents were dying. Her mother who had been so happy to put Thea up on a pedestal died thinking that having a family wasn’t really worth the bother. But Thea’s upbringing made it almost a certainty she was going to be a selfish diva. There are a few mentions of the other daughter of the Kronberg family – Anna, the younger girl. She is the true Cinderella. Whilst Thea was getting all the attention poor Anna was the one doing all the housework that Thea was too special to do. Anna is portrayed as a bit of a fanatical Christian, but maybe she was hoping to get some attention and love from her father the minister. She was never going to be loved by her mother. Anna is seen as being embittered, but who wouldn’t be under those circumstances? She drops completely out of the book about half-way through. I want to know what happened to Anna who was so neglected by everyone. Apart from that the book is just far too long, it really drags in the middle and could have been doing with being cut by about 200 pages. However as ever there are some lovely evocations of the countryside although Chicago is more of a shadowy place so you don’t get much of an idea of what it was like. East of Eden by John Steinbeck was first published in 1952 and it was high time that I got around to reading it. I suspect that everybody who is a keen reader already got there long before I did, it’s probably a set book in many schools. 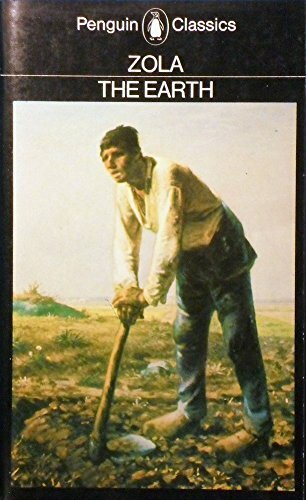 I’ve read a lot of Steinbeck’s books and have never been disappointed and sometimes I absolutely love them, East of Eden comes into that category. It’s 714 pages and I read it in three days as I could hardly put it down. 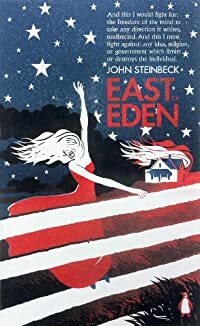 I must admit that the title East of Eden didn’t mean anything to me but it is of course from the Bible, Genesis – where Cain was told to go East of Eden after he killed his brother Abel and a version of that story is repeated throughout the book. The main story takes place from the beginning of the 20th century until just after World War 1 but does dip back to the 1880s at times. Mainly it’s about good and evil and how some people are just bad right through to the core whilst others are aware of their weaknesses and fight against their instincts. Many of the characters are from Steinbeck’s own family or neighbours. As ever Steinbeck’s descriptions of the surroundings and his insight into the human condition, good and evil are a treat to read and I’ve always been slightly puzzled that he apparently didn’t have any Scottish blood in him as those are traits that are particularly prominent in Scottish literature – think Robert Louis Stevenson’s Dr Jekyll and Mr Hyde and many others. Steinbeck’s maternal family – the Hamiltons – feature in the book and much is made of them coming originally from Ireland and their fierce Presbyterianism, so that solved my problem of how Steinbeck could seem so Scottish – because he was obviously of Scottish descent although somewhere along the way they forgot about going to Ireland from Scotland. Maybe when people migrate more than once it’s easiest to only recall the most recent past. As the Hamiltons were Protestants then it’s likely that they were amongst the Scots who were encouraged by the British government to settle in northern Ireland in an attempt to keep those Roman Catholic Irish people down. Anyway, all the Scottish elements of writing are in his books, but wherever his talent sprang from he was a great writer and after reading Travels with Charley I came to the conclusion he was a great human being too. If by any unlikely chance you haven’t read any of his books – you should definitely give him a go. I’ve had Oblomov by Ivan Goncharov sitting on a shelf for over 20 years (maybe even 30) and when I bought it I hadn’t even heard of the book before. I freely admit I was drawn to the book by its binding, so I was pleased to read fairly recently that Oblomov is a book that is well thought of by others, so I was quite chuffed when I got it in this spin. I can’t say I absolutely adored it but I did really like the book. Oblomov is a likeable character, in fact there isn’t a bad boen in his body. As a young man who got a position in a government office when he left his home in the country he had the usual ambitions of hoping that it would lead to better things, but he quickly became disillusioned by the work and more or less took to his bed. He has classic signs of depression and even after he inherits the family country estate he just can’t get up the energy required to sort out the problems of running it. He has great intentions of building roads and bridges there, repairing houses and building a school for his peasants’ children. He lies in bed day dreaming of everything he will do there, but when it comes to it he can’t get up the energy required to get up and get dressed. When Oblomov falls in love with a beautiful young girl he can hardly believe that she is interested in him, she rouses him out of his langour, he must get out and about to meet her. Despite being besotted by her Oblomov worries that he isn’t cut out for marriage, passion means expending energy and he has his doubts that he can manage much of that. Oblomov is a kind and easy-going soul and he puts up with people that others wouldn’t give the time of day. This leads to him being targetted by a ghastly sponger who goes to Oblomov’s apartment to eat his food and drink his wine, even ‘borrowing’ his clothes and money, neither of which are ever seen again of course. Money from his estate is sent to Oblomov but he is so feckless that it disappears in no time, either given away or pilfered by servants. His kind nature ends up in him being abused financially which leads to him having to move to a poor area of the city where he becomes the lodger of relatives of the sponger and they set about bleeding him dry of money. Meanwhile Sophie has come to realise that Oblomov is never going to shake himself out of his torpor for long enough to be a decent husband and part of Oblomov is relieved as he prefers to spend his time just sleeping and eating anyway. His landlady is a wonderful cook and as we all know – the way to a man’s heart is through his stomach, so he had been getting very attached to her. Things take a turn for the worse when his landlady’s brother blackmails Oblomov, saying he has damaged his sister’s reputation and this ends up with the brother and the sponger being in control of Oblomov’s estate. The cavalry rides in in the shape of Oblomov’s German childhood friend who realises what has been going on and sorts the whole mess out. It’s the Classics Club Group Check-In #18 and I thought I would take the chance to peruse my entire Classics Club list. 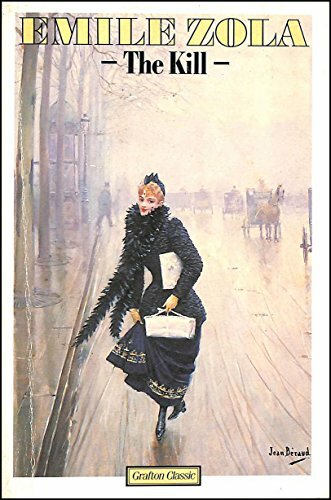 It has changed quite a lot since I signed up for the Classics Club, mainly because I’ve added in books as I came across them and have removed some books that I wasn’t sure about – can vintage crime books be seen as classics? I’m never sure, so I decided not to include those in the list. Can John Buchan’s books be regarded as classics? I’ve decided to keep those ones on the list anyway. I joined the Classics Club in March 2012 and I decided to make my list 55 books long as my plan was to complete 55 classics by the time I reached my 55th birthday, but as I will be 57 in the summer I have obviously missed my target. I’m still quite pleased with my progress though. These are all books that I’ve had on my shelves for years. If I’ve counted correctly I’ve completed 38 of the books on my list. My most recent read was Oblomov by Goncharov and I read that for the May spin so I haven’t blogged about that one yet, but I did enjoy it. The Classics Club announced a Women’s Classic Literature Event for 2016 and I thought it would be a good idea to take part in it. I have a shelf full of Viragos, some of which I’ve owned for years, but I’ve only got around to reading about half of them so far. This event is just what I need to get me moving to read the rest of them – well maybe that’s a wee bit ambitious, but I certainly intend to read as many as I can fit in. It’s about time I concentrated on reading books that I actually own anyway. I’m definitely going to read Crossriggs by Jane and Mary Findlater soon because that can also count towards the Read Scotland 2016 Challenge – there’s still time to join in with that challenge if you fancy it. I want to read Her Son’s Wife soonish, but if you’ve read and loved any of the books in this list maybe you could recommend them to me as books to get to sooner rather than later. On another related subject – what do you think of the new Virago publications? I must admit that I prefer the old green covers, they have messed up my nice green shelf as far as I’m concerned by changing the colour and style. I really don’t like change just for the sake of it – do you think it’s my age or something? !